P.S. 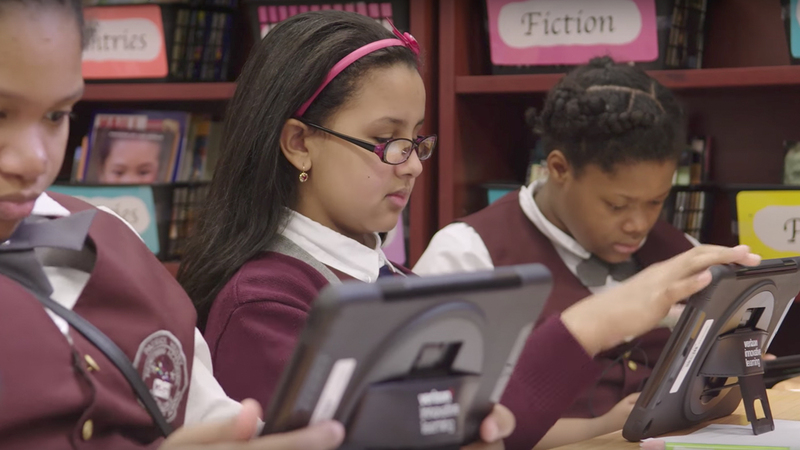 171 is in its third year of participating in Verizon Innovative Learning, a holistic program that gives free technology, internet access, professional learning and STEM curricula to under-resourced schools in America. All the students and teachers at P.S. 171 have their own tablets with always available access to the internet.